YOUR #1 SOURCE FOR REGIONAL & BUSINESS JET GROUND SUPPORT! SPECIALIZING IN LEKTRO TOWBARLESS TRACTORS! Find the equipment you need at Ground Support Equipment Int'l Inc., located in Pompano Beach, Florida. We sell and buy ground support equipment to refurbish. Our services cater to the needs of commercial airlines, aircraft maintenance companies, and private jet owners. We buy, sell, and refurbish LEKTRO Towbarless Tractors and Hobart GPUs. 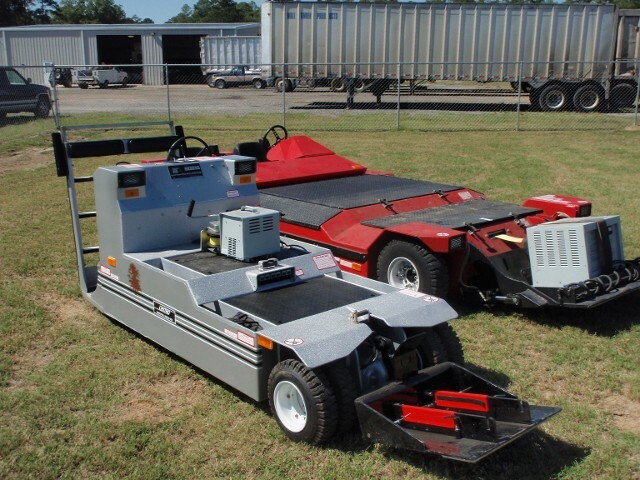 Our company is currently looking for all types of American-made ground equipment to purchase, no matter their condition. We offer the largest stock of refurbished LEKTRO Towbarless Tractors, available in all models. Equipment starts at $30,000 and up. Extended manufacturer and 90-day warranties are available on all refurbished equipment. We carry 28-volt DC rectifiers, 28-volt diesel GPUs, power 400 Hertz AC GPUs, and 400-Hertz solid-state hanger power units. Our company is also interested in buying more of these models. Ground Support Equipment Int'l Inc. buys, sells, and refurbishes tow tractors and tugs. We have gas, diesel, and electric units to choose from ranging in size from 3,000 to 60,000 DBP (draw bar pull). Our company offers great prices on all tractors and tugs. We assist in the logistics of transporting the equipment from point A to point B and have comprehensive refurbishment capabilities. Purchase refurbished air-start units for your aviation needs. They range in price and feature bottle or diesel continuous flow units to handle all aircrafts. Our technical expertise and experience in refurbishing ensures that you'll receive the best products at great prices. Contact us today to purchase from our selection of equipment for your needs.